This week, I look at contracts closed in April 2011 in zip code 20019 using data released by MRIS and its business intelligence subsidiary, RBI. This zip code is bounded on two sides by the District line, on the west by the Anacostia River, and on the south by N Street SE and Massachusetts Avenue SE. Home to Fort Dupont Park, the Benning Heights, Fort Dupont, Deanwood, Lincoln Heights, and Marshall Heights neighborhoods are located here, too. Aggregate dollar volume was up 1.19% over the same month in 2010. Unit sales fell, however, down 2.94%. The average and median prices for a home were up 4.26% and 32.38%, respectively. 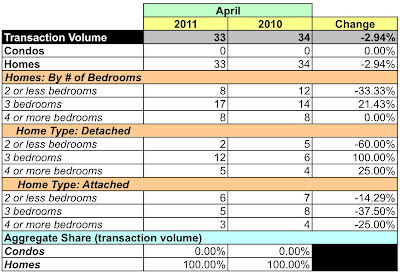 Thirty-three houses sold in April 2011 compared to 34 in April 2010. This is the first time I've seen a zip code where no condos were sold. All houses sold for less than $300K. Fifteen houses sold for $150-300K. Zip code 20019 represented 1.64% of April's dollar volume. The zip code's average price was 73.52% lower than the District's average and its median was 65.16% lower. The zip code's sales volume represented 6.18% of all units sold in April. 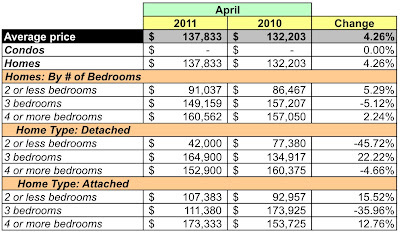 At April's sales rate there's a 6.57 months supply of houses, which is close to equilibrium. There were 31 condos listed during April. All condos listed in 20019 were priced at less than $300K and all of the 217 houses listed were priced below $400K. According to MRIS, properties in 20019 sold for 91.5% of the listing price. The zip code has the markings of a competitive market based on MRIS' data - relatively low prices compared to the District as a whole and decent inventory levels. 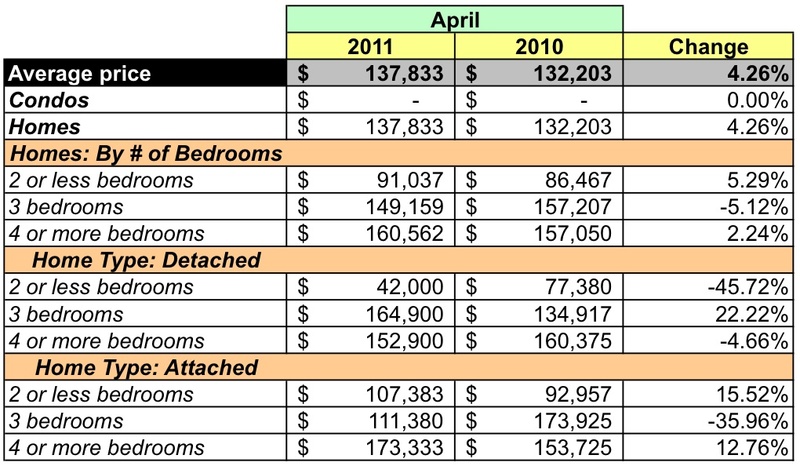 The data appear to support this - April 2011 sales activity [closed sales, new contracts, contingent contracts] in 20019 is about equal to the same months in 2010 and, possibly more importantly, pre-real estate crash 2007. However, the condo market may be dicey for buyers and sellers alike; there's little pricing differential between a condo and a house in 20019. If you can afford one, you can afford the other. Condo buyers should consider resale potential before acting and, unlike their counterparts in other parts of the District, sellers obviously should understand that houses in 20019 are viable competitors. My good friends at Urban Turf published a version of this post on their site a few days ago.